We manufacture and supply a huge range of Heavy Plywood Boxes for various industries with the best packing solutions. These type of boxes are made of Superior quality Plywood. These boxes have high load carrying capacity as the boxes are reinforced in bolts. Owing to their quality, our boxes are widely demanded the purpose of packaging different heavy products. We, Siddheshwar Enterprises, established in the year 2010, are one of the prominent manufacturers and supplier of wide range of optimum quality Wooden Packaging Boxes & Pallets. The product range offered by us is inclusive of Wooden Boxes, Wooden Pallets and Packaging Boxes. 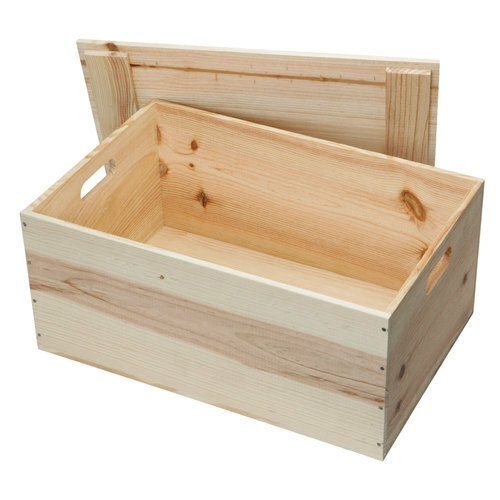 Offered by us, these packaging boxes and pallets are manufactured from quality assured wood that is sourced from reliable vendors. Offered wooden packaging boxes and pallets can be custom designed in adherence to the designs provided by the patrons. It is due to the experience of our mentor that we have been able to cater to the needs of our valuable customers in the most efficient manner. With our large production capacity, we have been able to win a commendable position in this domain. Their striking appearance, resistance to termite, smooth finish, durability and lightweight, these wooden packaging boxes and pallets are highly demanded. By using designing tools, our craftsmen design these wooden and packaging boxes and pallets in compliance with the prevailing market trends.